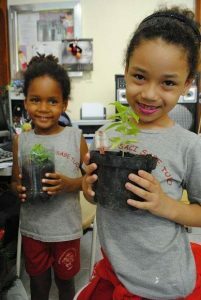 The organization is looking for volunteers to help teach #Rocinha children about nutrition and organic gardening. By Chesney Hearst, Senior Contributing Reporter RIO DE JANEIRO, BRAZIL – The Saci Educational Organic Kitchen, a project that aims to help pre-school aged children in the Rocinha community in Rio de Janeiro to understand the importance of nutrition and gardening, will begin its second year on Monday, April 6th. For the first time, the program is organizing a group of volunteers interested in helping with the project. The classes will take place on Mondays in the rooftop space of the Saci Sabe Tudo crèche (preschool) in Rocinha. During each session, the children will learn about fruits, vegetables, planting, natural food choices and diet alternatives. Saci Educational Organic Kitchen classes will be offered to children 3-6 years old with approximately twelve to twenty children in each class. The classes will take place every Monday until the Saci Sabe Tudo school year is completed. There will be two sessions each Monday. The first will take place from 10:30am to 12:30PM and the second from 1:30PM to 3:30PM. There will be a lunch break in between the sessions. Those interested in volunteering can sign up for the morning, afternoon, or both sessions on any Monday during the school year. There is no participation fee to volunteer and all lesson materials and supplies are provided. To volunteer and/or for more information, contact Anna Whyte at . Additionally, for more information about Il Sorriso dei miei Bimbi Onlus, see their Facebook page.